No thyroid hormone replacement: Today is my last day of taking Cytomel (T3). I stopped my Synthroid (T4) a month ago. Low-iodine Diet: From Wednesday Jan 28th, I will be on a low-iodine diet to prep for the Radioactive Iodine (RAI) on February 11th. What I can and cannot eat while on this diet surprised me. This is not a low sodium diet, which means I can have salt, just not iodized salt. I also learned that most Kosher salt is actually not-iodized. Yippee. I cannot eat anything not home-made. So no restaurant food. No seafood i.e. no sushi. My wonderful mother is making homemade bread with Kosher salt. For the purposes of the next couple of weeks, we thought we might as well forgo the gluten-free suggestions of the naturopath, because then I just won’t eat anything. My partner printed out the list of possible low-iodine recipes from the thyca.org website. I went through it to note what I felt like eating and he did groceries and the plan is to sample these new dishes. I can’t have any dairy (and I love me some cheese). I can’t have broccoli either I think, I’m not sure, I have to check the list of approved veggies again. My nausea is still pretty bad. For a former carnivore,(and people can attest to that), I have not been able to stand chicken or beef or veal etc. for a while now and that is highly suspicious. This is baffling doctors. I have switched from sugar to xylitol… which is a step towards reducing my overall sugar intake. Sugar is the one thing aside from sushi that my body craves. Dentist Visit: Seems that radiation can increase my ability to get cavities and such. Some people have said it is only a slightly higher risk and it might not affect my teeth at all. But, a couple of people who have had the treatment said it did mess up their teeth pretty badly. So I take the doctor’s recommendations with a pinch of Kosher salt and went to the dentist for a check-up and cleaning. I have been advised to floss everyday. Vitamins (Naturopath): I am taking 2 omega-3 tablets a day, 2 B-complex tablets a day. 14 Vitamin-D drops once a week. Amino Acids (Naturopath): L-glutamine to help my body regenerate. After radiation, it will apparently help with dry mouth due to damaged saliva glands. I will add it to water and swish it around in my mouth before swallowing as per instructions. 3.5 g x 3 a day. I will also start taking NAC starting Feb 18 -19. 500 mg x 3 a day to minimize damage from radiation. Both these are amino acids. Physical activity: I try to go to the gym just to get back into the habit of it. But my head still cannot stand being jolted around and my concussion symptoms increase – dizziness, headache, loss of balance, nausea. So cardio is limited to the bicycle machine, and then I’m on weights or floormat. A friend of mine tries to drag me there at least twice a week. This has been more difficult recently and I need to be okay with the fact that I may not be able to do any physical activity over the coming weeks. Clothes: I do not fit into any of my clothes. I am the heaviest I have ever been which makes sense given that I am severely hypothyroid. I get frustrated when I am trying to get dressed because nothing fits and that reminds me how little control I have over my body. It reminds me I have cancer, it reminds me that I feel sick all the time and it all just spirals from there. I probably need to get new clothes that do fit me, but I don’t have the energy or motivation to do so. In the meantime, I have taken to wearing my partner’s t-shirts. Once I have treatment, I will be in isolation in the hospital for 2 days. After that, I get to come home, but everyone has to stay at least 6 feet away from me. That means no hugs. Transportation: This prompted a discussion on how to get me home without radiating anyone in the vehicle. We might need a van, where I sit at the very back and the driver gets me home as fast as they possible can. 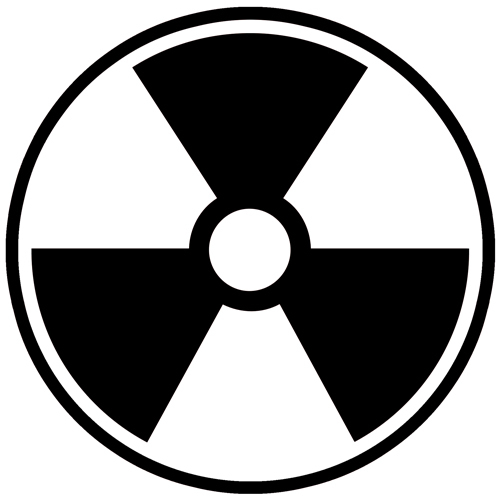 Radioactive Fluids: Last night, I decided it might be a good idea to take a few more steps forward in preparing myself for radiation treatment. My partner and I read this page. This is not very reassuring. I did not know or realize that all my fluids would be radioactive. That’s right – pee and sweat and everything else. So flushing toilet twice, showering everyday, separate eating utensils, laundry separately, separate bed linen. It sounds like a simple thing, but to shower everyday with no help while I have no energy sounds daunting. These days, when I shower, I need a 2 hour nap. Keeping myself entertained: Also – “Do not bring items such as a laptop computer, because it may become contaminated and have to stay in the hospital for pick up at a later date.” If I bring books, then I will have to leave them behind. This prompted a near panic attack because…well what am I supposed to do isolated for 2 days in a hospital room? Apparently people have found creative ways around this…like wrapping the laptop in saran wrap. It promises to be an eventful couple of weeks. I have started having nightmares again, some involving a version of me being radioactive and radiating people I care about or pregnant ladies just passing by. It’s good that we have plans, because it helps to have some sort of agency while all this is going on. Some days are better than others, and I know I just need to take it one day at a time. I have limited energy already, so if I don’t respond to you or haven’t yet, I apologize. That’s one of the reasons this blog series is here. I do so appreciate the emails and notes from people saying that they’re thinking about me – thank you! Maybe getting 2nd hand books you wouldn’t mind leaving behind? This is a toughie.